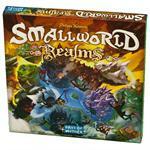 Drake says: "In Small World, players set out to dominate a world that is simply too small to accommodate them all. 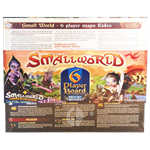 Small World is inhabited by a zany cast of characters such as dwarves, wizards, amazons, giants, orcs and even humans; who use their troops to occupy territory and conquer adjacent lands in order to push the other races off the face of the earth. 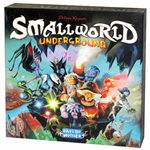 Players much choose the best combinations and special abilities in order to take over the world." 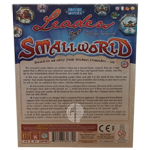 John says: "Small World is a very light Civilization-type game with lots of replay value. Great Fantasy theme with humor sprinkled in! " 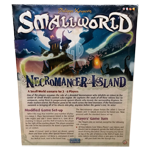 Small World is a zany, light-hearted civilization game in which 2-5 players vie for conquest and control of a board that is simply too small to accommodate them all! 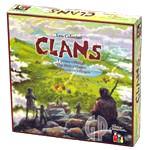 Picking the right combination of fantasy races and unique special powers, players must rush to expand their empires - often at the expense of weaker neighbors. Yet they must also know when to push their own over-extended civilization into decline and ride a new one to victory. 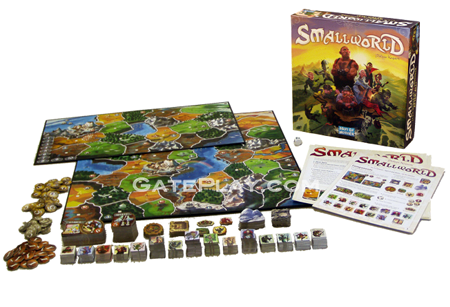 Designed by Philippe Keyaerts as the fantasy follow-up to his award-winning Vinci, Small World is inhabited by a cast of characters such as dwarves, wizards, amazons, giants, orcs and even humans; who use their troops to occupy territory and conquer adjacent lands in order to push the other races off the face of the earth. 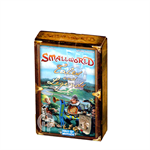 Small World marks the return of the Days of Wonder line of heavily-themed, big-box sized games featuring evocative illustrations, high-quality European components and a compelling, fun theme. Check out "Small World" on BoardGameGeek.com! 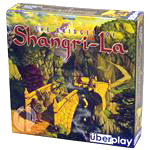 Hunchy says: "If you like this area control game, you may also enjoy Clans and The Bridges Of Shangri-La.